I have been allowed to post these photographs of 2 Bulleids at Rugby Testing Station. The first one shows a Rebuilt; which appears to be going at speed; but what are they testing?? The Second one shows an Unrebuilt; but is pretty much in pieces?? And also I would like to know what those that seem like Filters are that are by the Smokebox on the Drivers side? The top photo shows rebuilt Brocklebank Line under test at the Swindon test plant. 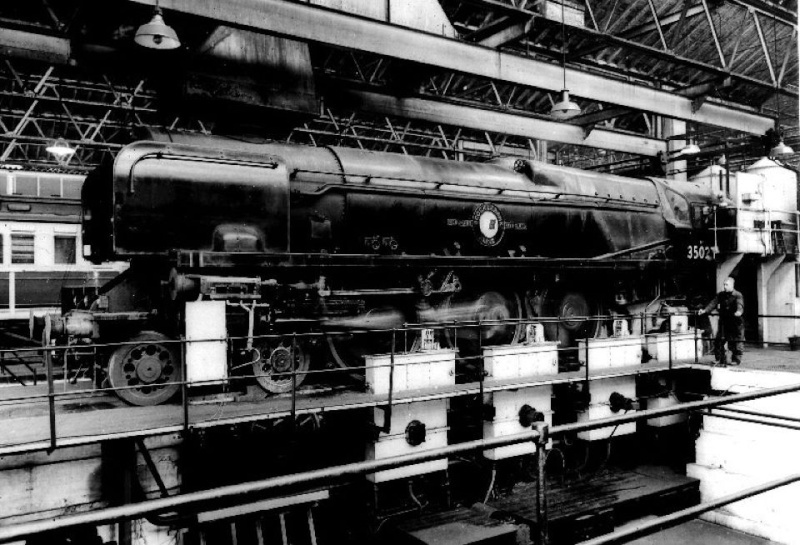 There’s a similar (but different) photo in J Fry’s book, Bulleid Power, the Merchant Navy Class. The chap holding the railing is in that shot too, so presumably it was taken on the same day 12/8/1957. 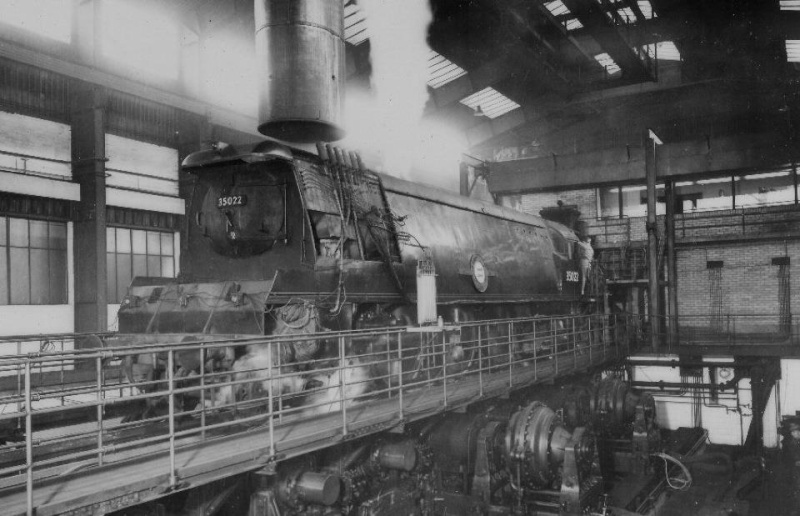 The lower shot is of unrebuilt Holland America Line at the Rugby test plant in March 1952 or 53. Several sections of cladding had been removed to allow access for instrumentation to measure temperatures & pressures. 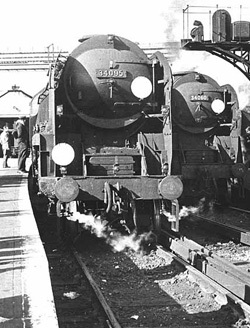 If it is 1953, this was when the loco was fitted with a boiler, which did not have thermic syphons.